In chess, an isolated pawn is a pawn which has no friendly pawn on an adjacent file. An isolated queen's pawn is often called an isolani. Isolated pawns are usually a weakness because they cannot be protected by other pawns. In practice, an isolated pawn is often a concern when it's placed on a open file, thus becoming an easy target for the enemy's pieces. In this series IM John Watson looks at all kinds of isolated pawns, and teaches us how to deal with this particular structural weakness. Isolated Pawns (15 part series) In chess, an isolated pawn is a pawn which has no friendly pawn on an adjacent file. An isolated queen's pawn is often called an isolani. Isolated pawns are usually a weakness because they cannot be protected by other pawns. In practice, an isolated pawn is often a concern when it's placed on a open file, thus becoming an easy target for the enemy's pieces. 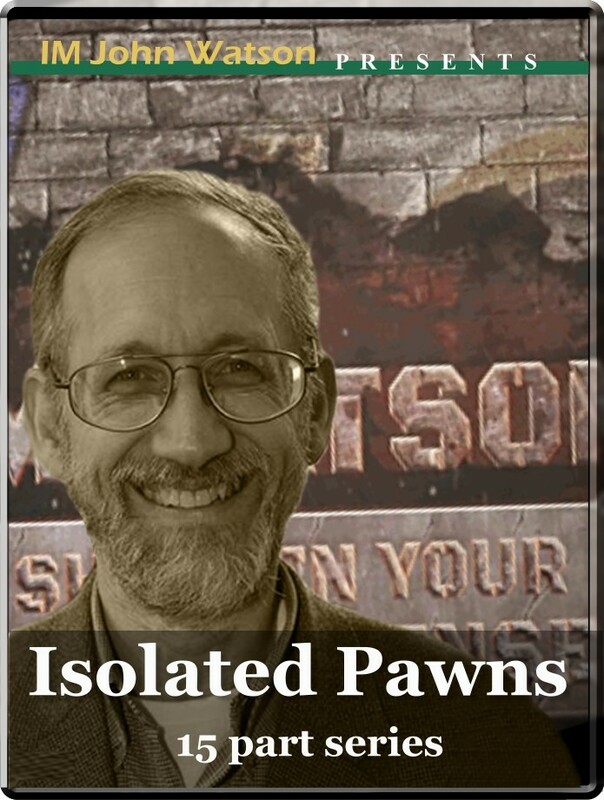 In this series IM John Watson looks at all kinds of isolated pawns, and teaches us how to deal with this particular structural weakness.